We are still in the second round of the women’s US Open and three of the top ten seeds have already been knocked out at Flushing Meadow. Petra Kvitova and Na Li both failed to advance past the opening round and Marion Bartoli has fallen at the second hurdle. 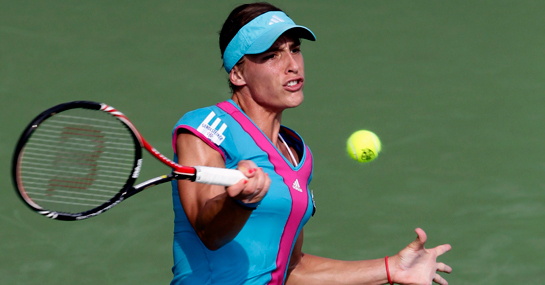 Today, Andrea Petkovic is in action and the tenth seed is a strong candidate to be the next big-name casualty in the US Open odds in her clash with the dangerous Jie Zheng. Petkovic has not been at her most healthy in recent months and faces a Chinese opponent that has a proven Grand Slam track record, having previously reached the semi finals of both the Australian Open and Wimbledon. A victory for Zheng is one of three surprises that could occur in the women’s draw, with Simona Halep and Anastasia Pavlyuchenkova also at risk of an early exit in New York. Pavlyuchenkova has not had the greatest hard-court preparation ahead of the US Open and faces Petra Martic, who took some decent scalps at Cincinnati recently. Meanwhile, Halep may have defeated Li in the opening round but could have difficulty with Spaniard Carla Suarez Navarro, who triumphed in their only previous meeting last year. In terms of the favourites, Jelena Jankovic and Francesca Schiavone should secure relatively safe passages into round three from their respective matches with Mirjana Lucic and Jelena Dokic.